It is a New Year's resolution that will benefit you all year and help to create some better photos for a lifetime. Most of us open up a new camera box and make a stab for the battery and the charger, find the memory card or add one that we have already and away we go with our shiny new toy. The manual usually never gets out of the plastic and believe it or not, it is not designed to be just extra padding for shipping. Learn about your camera's capability in a few short minutes. A camera manual is usually filled with chunks of manufacturer legalese and the other half of it duplicated in a language other than your own so it's a lot thicker and can be more intimidating than it really is. Break it down and break it open without thinking of it as a book you have to read from cover to cover and make a full-time commitment. What are the best settings for taking pictures of my friends and family from close up indoors and outdoors? Catching restless kids and animals? 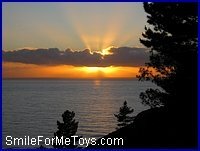 Outdoor pictures like sunsets or panoramic views? "Yellow highlight" sections that stand out to you but don't get bogged down. Move on if you get a bit overwhelmed to a shorter feature instruction. You can fan through the camera manual more easily later as a quick refresher course with the highlights. Pun intended... My "sunset" feature on my Canon digital point and shoot takes the best pictures at sunset. What normally would be too bright to look at or snap a photo of, gets the automatic adjustment of shutter speed and light evaluation and I look like a professional! 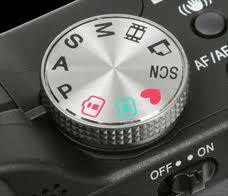 Your camera should have a similar feature. Give it a try and enjoy another sunset! 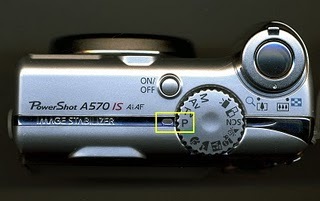 Read your Camera Manual on what your program modes do OR Find the dial that is on most digital cameras and shoot some photos as you click around the dial. How does each feature react? How does it change the photo? Go out and PRACTICE the features that stand out as helpful to you and don't worry about wasting film, delete your duds! Sitting on the rim of a canyon is NOT the time to learn about a "stitch" feature that would allow you to piece together side by side some photos for a seamless, large, panoramic view or when Grandpa or Grandma has your child giggling by the pool and you need to "force flash" or "fill flash" to make sure their faces aren't shadowed in the bright setting. After you read your camera manual, your camera will do it for you! Don't pay full price for a camera, then use 1/32 of it's capability. Take a moment and put a few tips together, go out and use some different camera settings and make it fun to smile for the camera.